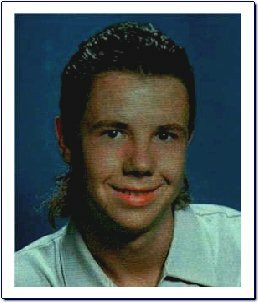 Ty Lowery, my beloved son and only child, was murdered on June 17, 1998. The core of my universe is shattered beyond repair and my life is forever changed and the reality and justice of life has been brutally altered and murdered along with my sons life, as well as, the hopes and dreams of the future. Ty was big hearted, helped everyone, and would have never hurt anyone. He treated all his friends well and trusted them completely. Ty loved children, and being brought up by a single mom, would have been a wonderful, loving dad, something that he never had in his natural father. Robert (Bob) Brill was the only stepfather Ty ever knew. Bob passed away with terminal brain cancer on December 22, 1998, just six months after we lost Ty. Bob was still my best friend and I miss our daily talks dearly. Ty loved animals and was an outstanding horse person. Ty rode and participated in rodeos and gymkhanas from the time he was five years old. 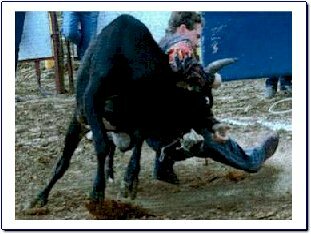 I am so proud of him; not only for his horsemanship, but for his fairness, good humor, and sportsmanship he always displayed. Always helping others by giving them pointers, loaning equipment and even our horses at times to those who had the misfortune of losing their beloved horses or because they were unable to be ridden. His love for all animals kept us busy, feeding, cleaning, doctoring, everything from all the neighborhood discards to injured and stray animals. The only exception being "Snakes" which he was terrified of. His big heart, kindness, soft and gentle touch, determination to help others and animals will always be some of his most remembered treasures he has left us to remember him by. It was amazing that this twenty-year-old could fix anything from our automobiles to everything in the house. Between being my computer whiz and electronics specialist everything was always set and ready to be used. Like most of us. Ty was not perfect but he learned from his mistakes and helped others through his own mistakes. Ty was the most wonderful, rewarding, loving, kind, exceptional person to have ever touched my life and made my life worthwhile, meaningful and my ultimate reason for living. Our home was where every one gathered nightly and I never knew how many I would find asleep in the morning, in chairs, on the couch, as well as, some on the floor. When friends were in trouble, needed something, no matter what -- they would be found at our home with Ty. Most of Tys friends parents always checked at our home first to locate their children or find out where they might be. The only regret I know that Ty would have had -- he was an organ donor and he was not found in time to help others with his healthy organs - as he had always wanted to do this and I was well aware of the fact and he had this designated on his divers license. One of Gods ten commandments is Thou shall not kill". One of the oldest rules of our society and put into law is no one can take another persons life "Murder". No one deserves to he murdered ~- no matter what! Shortly after midnight Ty received a call from Sherilyn Brown for help, her boyfriend Mike Toney was assaulting her. Ty did not respond to the first call (he had helped her once before and she went back to the situation) but when she called again he felt like he had to go (Ty had no tolerance of men abusing women because I was assaulted by ****** on April 14, 1997. The assault caused me to lose my sight in my left eye). Also, because I did not press charges immediately the case was never tried in court. Ty told Sherilyn he would not go to the residence and would pick her up on the road, one of Tys best friends, John Goodwin went with him. After getting home and unloading Sherilyns belongings she noticed that she had forgotten her purse. Ty took John home first and he and Sherilyn started back, never to be seen alive again, after reaching this destination. My life as it was is gone forever, for without Ty nothing seems to matter except to get the persons responsible for his death and have justice prevail and help others, in my same situation, if I can. I dont even want to know the terror, horror, the putting of guns to his head, the hitting, pushing and violence he was put though before and after he was shot. Ty asked to be brought home to me after he was shot so I could get him to the hospital. These savage violent creatures (they cant be human) then drove Ty to a remote location and where he wouldnt be found quickly, still alive, took the keys out of the car and left. I know whatever happens, the legal system will never do enough to Tys murderers to repay for my sons life and what he had to contribute. The death penalty would be too good for these creatures, I pray that they will be sent to prison for life without the possibly of parole. I know New Mexico must reinstate (or put back into use/practice) the death penalty to deter the violence and murder in our state. Also the so-called "GOOD TIME" for persons serving time must he rescinded. Out of the eight that was on the premises only four were charged. In my opinion, everyone who was present is "guilty of first degree murder"! They did not do anything to prevent the murder, they did not call the police and they did not call emergency services for a wounded person. I know that if you are the first one at an automobile accident and you do not stop and render aid you are in violation of the law. This should also be the case in any event or crime that puts peoples lives in danger or at risk! This will take all of us working together before anything can be accomplished and laws changed. At this time, we are waiting for the criminal and legal process to bring these persons to trial. I will update this information when the process is complete. Michael J. Toney Charges: First Degree Murder (Willful and Deliberate); or in the alternative: First Degree Murder (Felony Murder): Kidnapping (in the second degree); Conspiracy to commit Kidnapping (in the second degree); False Imprisonment; Conspiracy to Commit False Imprisonment; Tampering with Evidence. Claudia Moreno Claudia Moreno Charges: Murder in the First Degree (Willful and Deliberate), False Imprisonment. Conspiracy to Commit False Imprisonment. Adam Montoya Charges: First Degree Murder (Willful and Deliberate): or in the alternative: First Degree Murder (Felony Murder): Kidnapping (in the second degree):Conspiracy to commit Kidnapping (in the second degree); False Imprisonment; Conspiracy to Commit False Imprisonment. Trial set for May 11 - 14, 1999. Robert Douglas Aragon Robert Douglas Aragon Charges: Receive, transport or possess a firearm, and the Defendant had been convicted of a felony offence within the preceding ten years, a fourth-degree felony. Others who were present and not charged: Sherilyn Brown, Odin Flores, Alexandria Dawn Astorga and Mindy K. Milhiron. I still will not give up and hope these persons will be prosecuted after further investigation and information received at the trails of the others. for questioning in the "Ty Lowery Murder Case". 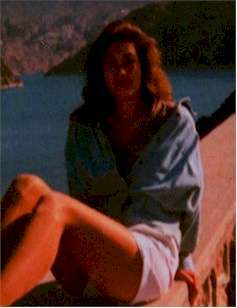 This picture was taken in November 1997 and her last known location was the Huntington Beach, California area. Sherilyn is approximately 32 years old, 58" (or slightly taller) and about 125 pounds, shoulder length brown hair. Sherilyn has a teenage son. Anyone with information can contact the Dona Ana County Sheriffs Department, Las Cruces, NM, 505-525-1911 or 800-332-2121 and ask for Ed Miranda, Robert Jones or Ben Venable or call Crimestoppers at 505-526-8000 or 800-987-2746.